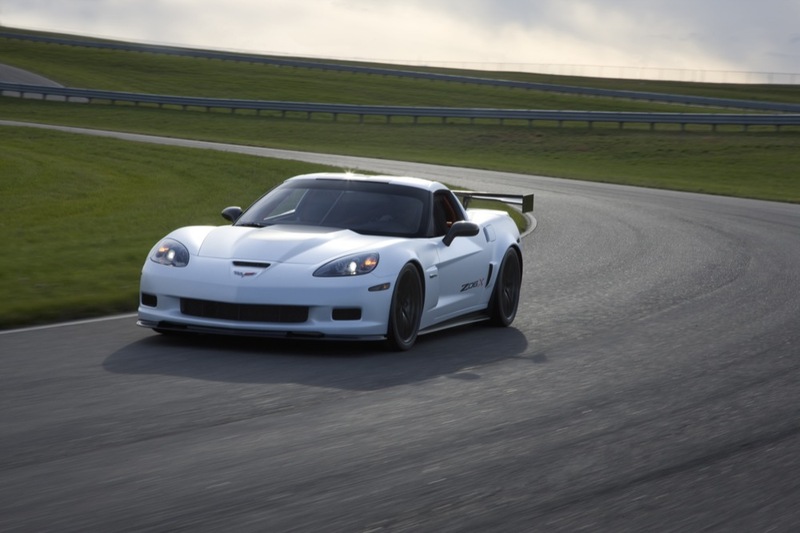 If you’ve ever wondered what a personal Corvette C6R racecar would look like, this is as close as it gets. Sitting next to the Corvette Jake Edition Concept at SEMA is the Corvette Z06X Concept, in all of its track-ready glory. 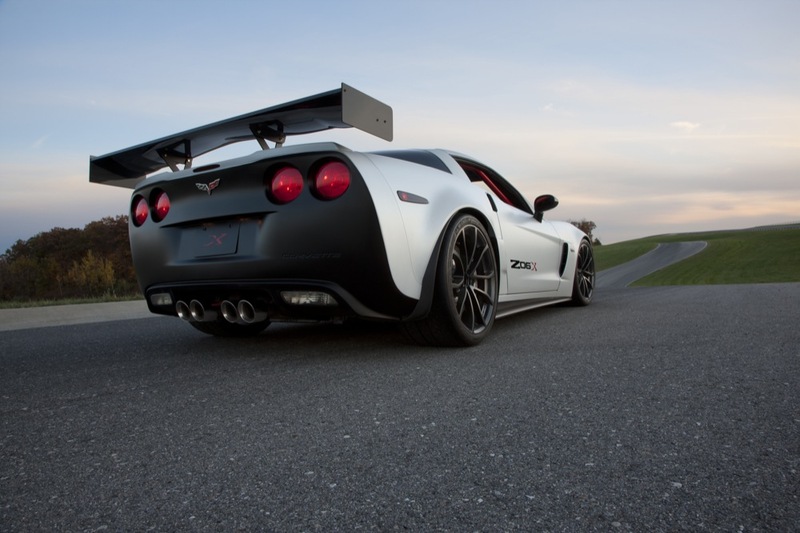 The Z06X stands out from other Corvettes with its adjustable carbon fiber rear spoiler (identical to that of the C6R,) several carbon-fiber accents and a polycarbonate rear window on the outside (also borrowed from the C6R.) Inside, the car has been stripped of all luxuries including the radio, sound-deadening material and even the carpeting. In their places resides an SCCA-approved roll cage, racing seats with 5-point harnesses, and even a fire-suppression system. 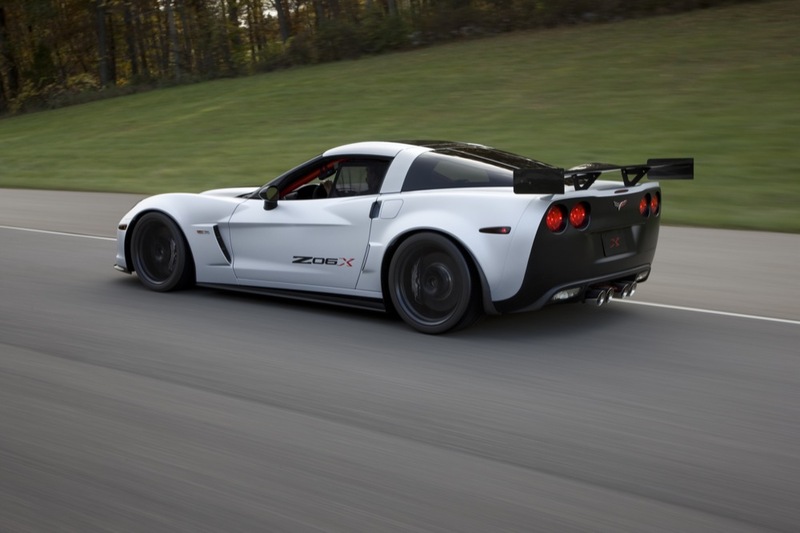 Mechanical upgrades include a complete coilover suspension, a racing-spec cooling system, racing wheels, a low-restriction intake, adjustable stabilizer bars, and a mono-ball control arm bushing. 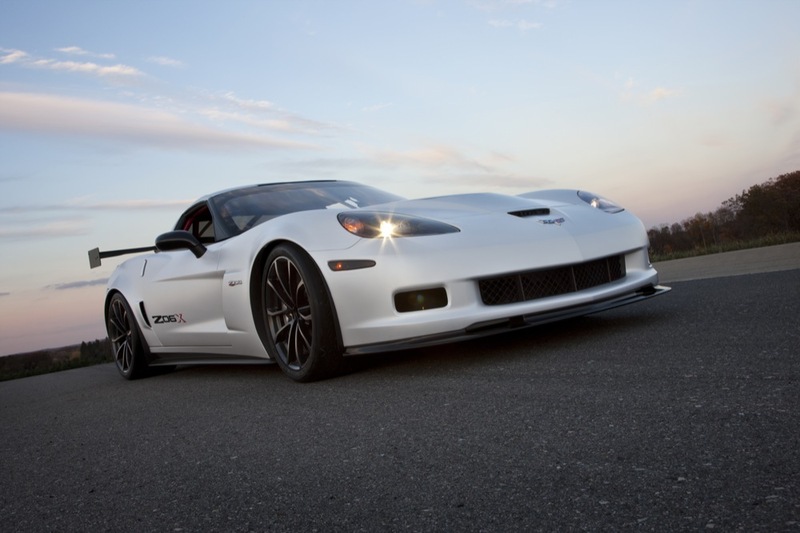 The powerplant is none other the infamous 505-horsepower LS7 engine that will launch the ‘Vette from 0-60 in blistering 3.6 seconds. There is no official word on whether or not The General will actually make this bruiser available for mass consumption, so for now we can only drool over the pretty pictures and wonder what it would be like to race one of these babies around a track.